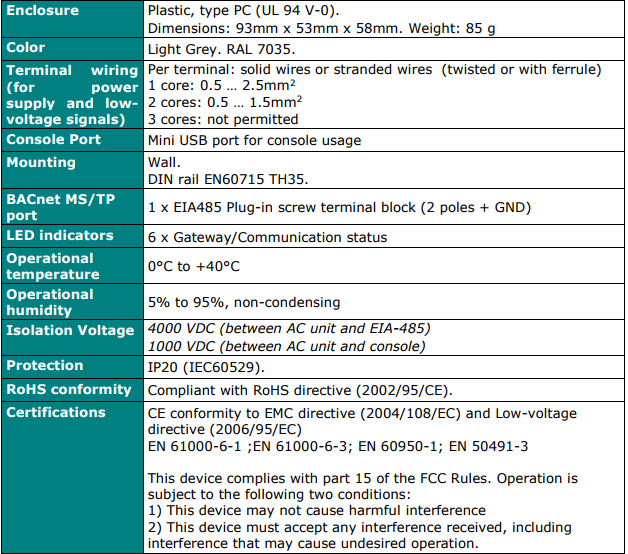 IntesisBox DK-RC-BAC-1 allows a complete and natural integration of Daikin air conditioners into either BACnet IP or MS/TP networks. Compatible with SKY Air and VRV Air Conditioners commercialized by Daikin. 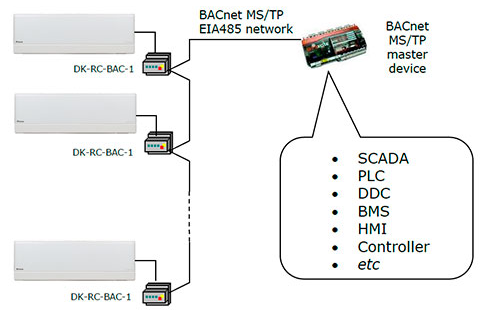 DK-RC-BAC-1 connects directly to the indoor unit connector using the P1P2 connector and to the BACnet side using BACnet IP or BACnet MS/TP (See picture below).